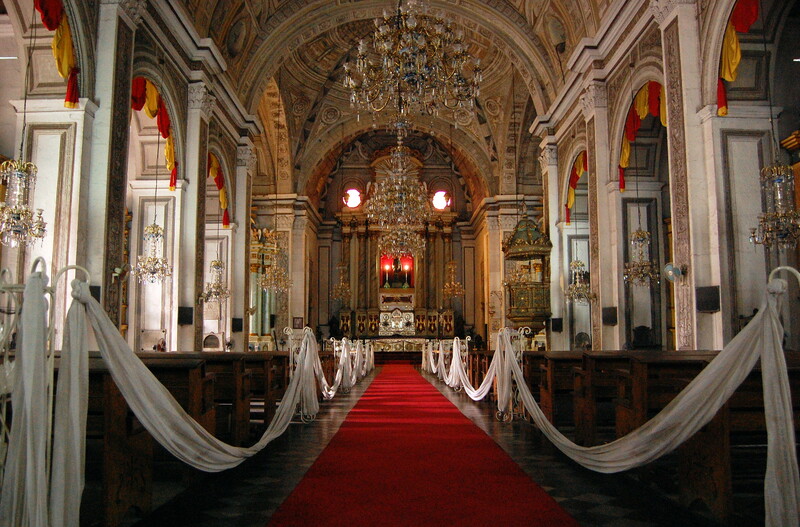 The San Agustin Church and Museum which is a private museum under the supervision of the Augustinian Friars is housed inside the Old Monastery of the Church. The collection include 26 huge oil paintings of saints; the DOn Luis Araneta Collection of Antique Santos; the crypt, where Philippine notables are buried, leads to the refactory with its fine collection of colonial religious art; the Capitualtion Room, where the Spanish surrendered to the Americans in 1898; the Sacristy, which houses antique carrosas, richly embroided vestments, a wonderful Saint Michael; and the famous choir loft handcarved from molave wood that dates back to 1614. From Mabini and Pedro Gil St., hail a PUJ bound for the pier and get off at Bonifacio Drive intersection. The San Agustin Church Museum is a 10-minute walk towards Aduana St. As an alternative route, one can take any pier-bound PUJ in Quezon City and get off at Aduana St.
Travel Time: Approximately 25 minutes (from Manila proper). Approximately 1 hour and 15 minutes (from Quezon City).